for $170,000 with 3 bedrooms and 2 full baths. This 1,309 square foot home was built in 1966 on a lot size of 91 x 219. 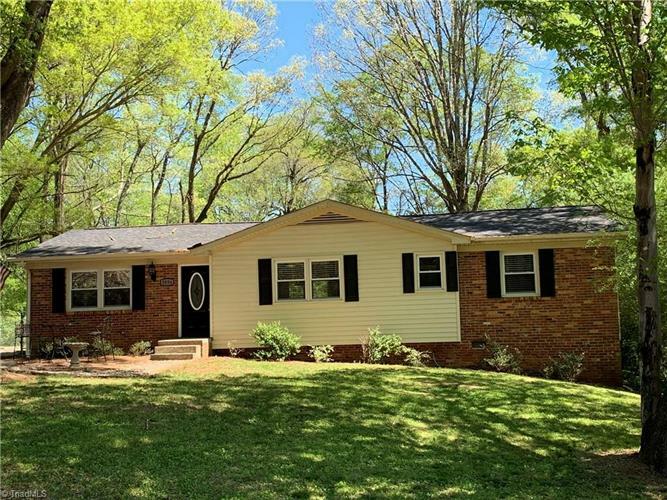 HARD TO FIND brick ranch home on .49 AC in the country w/ no city taxes yet convenient to everything!Fresh paint throughout, recent roof, well pump.Updated plumbing, original gleaming hardwood floors. Whole house water filtration system. Kitchen has cherry cabinetry, stainless appliances, & tons of cabinets. MBR features a walk-in closet & private bath. Entertain on the deck that overlooks the private, partially fenced yard which also has an outbuilding for all your gardening needs. Great NW schools.